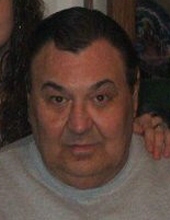 Edward T Hovanec, age 70, of Westville, passed away Friday, March 1, 2019. He is survived by his wife of 30 years Wanda Hovanec; children: Lori Drish, Tara (Robert) Losiak, Christina (Adam) Johnson, James (Eve) Hickey, Michael Hickey, and Kathy (Johnny) Walthall; grandchildren: Edward, Jessica, Robert Jr., Lillian, Megan, Madelyn, Hadley, Aleczander, Ashley, Natalie, Colin, Corinne, Kaliza, Jesiah, and Kaliyah; great grandson Gabriel; sister Melanie (Mike) Miller; and several nieces and nephews. He was preceded in death by his parents Edward and Mildred Hovanec. Visitation will be held at the Fagen-Miller Funeral Home, 8580 Wicker Ave in St John on Sunday March 3, 2019 from 2-6 pm. Funeral services will be held at the funeral home on Monday at 11 am.